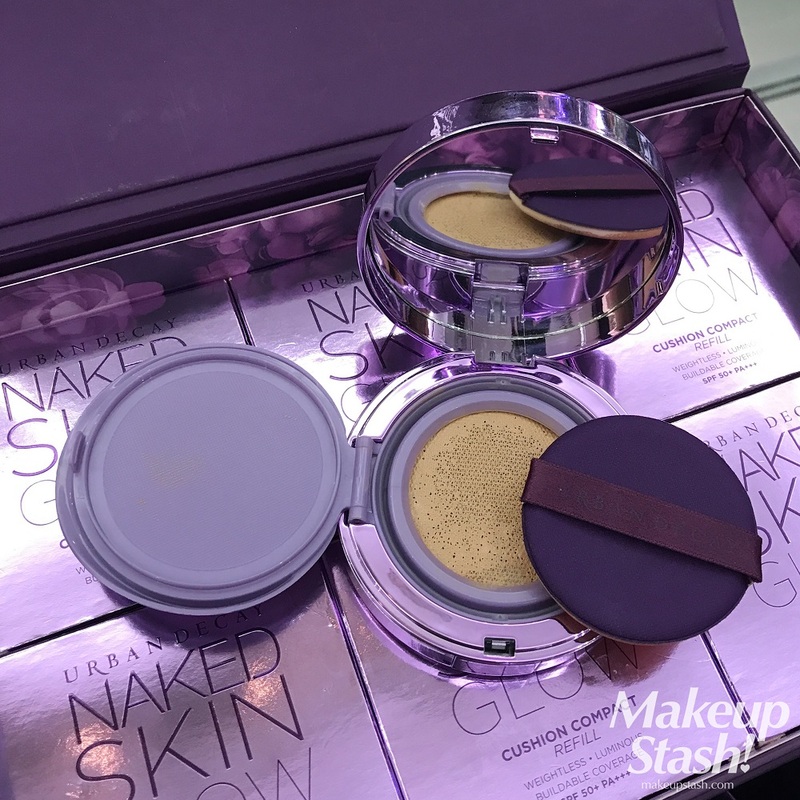 Urban Decay Naked Skin Glow Cushion Compact Foundation in Singapore | Makeup Stash! 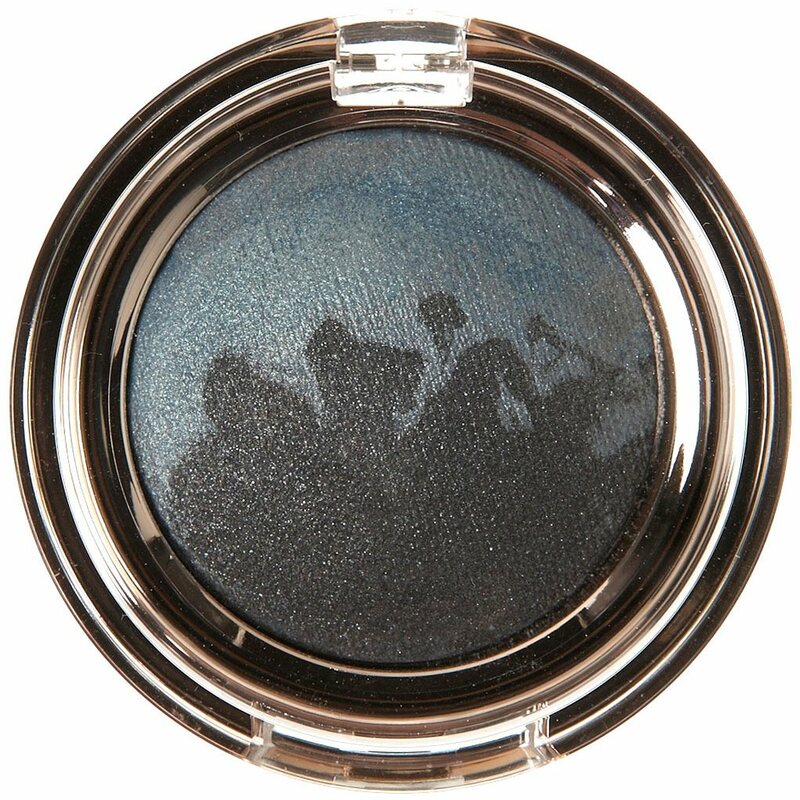 There were murmurs online concerning this Asia-exclusive product but like an elusive makeup unicorn, no one had actually seen it! Turns out that the first run of the stock is limited and late to arriving here, so there was scant information on this beauty newbie, aside from the brand’s press release. 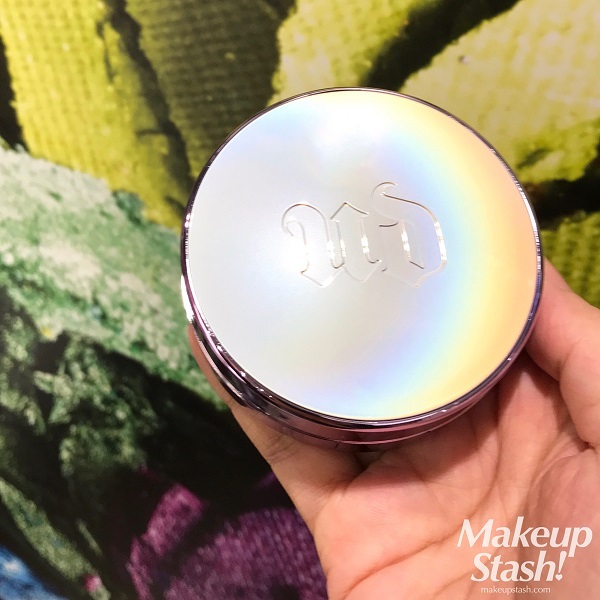 I was thus lucky to have caught a glimpse of it when I recently popped into the UD freestanding store at Ngee Ann City/Takashimaya S.C. (the brand’s flagship boutique in Singapore). 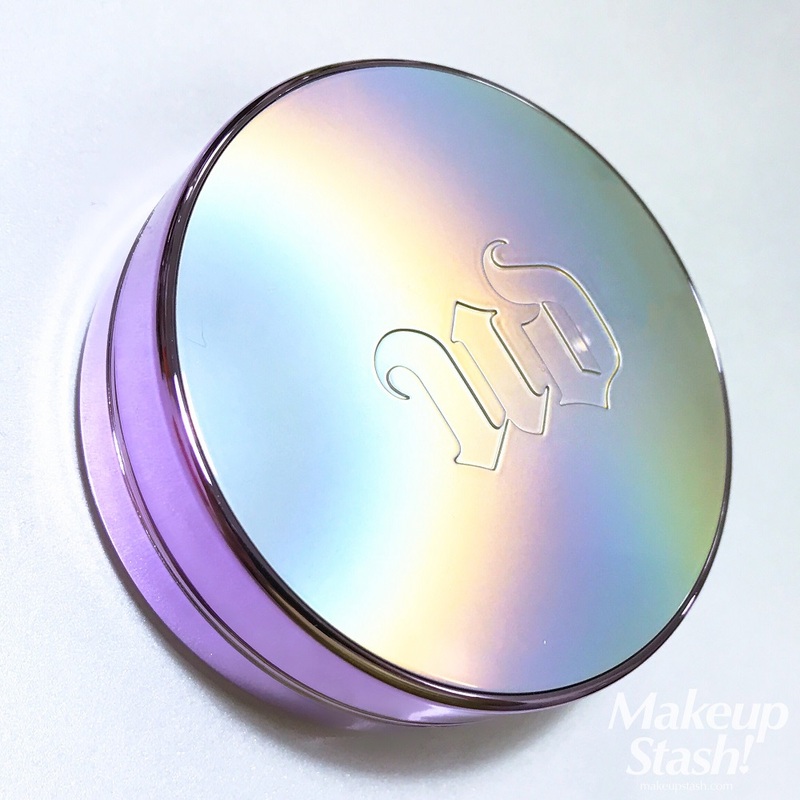 True to the spirit of that mythical creature, the foundation is housed in an iridescent compact with a luminous rainbow accent that shifts in the light. Finished with a metallic rim of purple—the brand’s signature colour—the case exemplifies the ‘glow’ element of the product. I was actually quite disappointed when I first saw it: Compared to the colourful photos online, it looked like it only bore a plain, shiny-white veneer in real life. However, the rainbow is revealed when the nacre compact is illuminated. 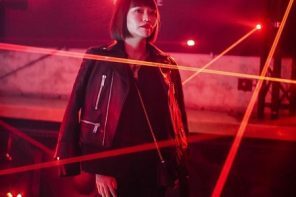 Made in Japan and specially-formulated for the Asian market, this foundation came to be after valuable feedback from the Asian region (Singapore, included! ), as well as in-depth research on this by-now ubiquitous form made famous and fabulous by Korean beauty buffs and celebrities alike. 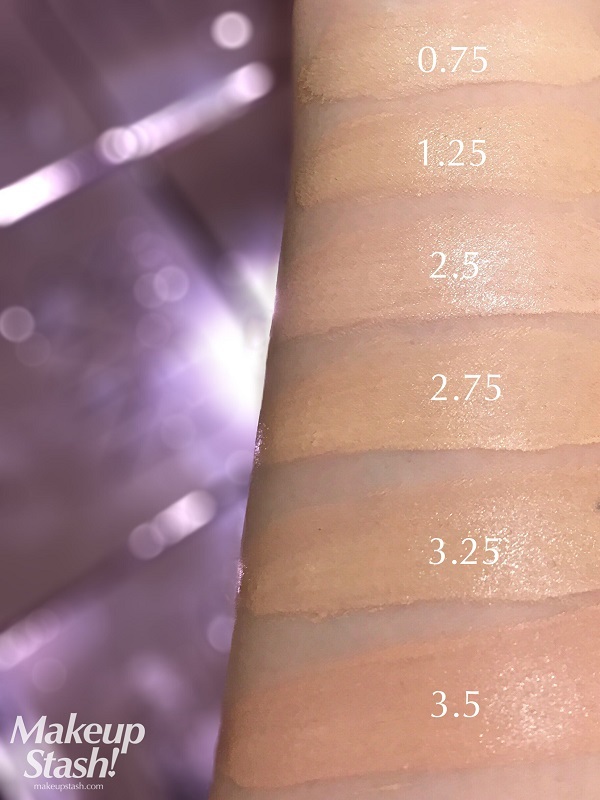 6 shades are currently available: 0.75, 1.25, 2.5, 2.75, 3.25, 3.5. As a rough guide, the .25s veer neutral, while the .5s tend to be cool and the .75s warm. I was matched to 3.25 and was told it was close to YSL B20 which is my shade for YSL Le Cushion Encre de Peau/Fusion Ink (which is made in Korea, by the way). Going a little off-tangent here: Someone I know was once offended by my use of the word ‘dark’. Let me just say I use it with no ill-intent, and utilise it with reference to differences in tone and depth, where makeup colour comparisons are concerned. I haven’t tested this foundation on my face but its dewy and glowy swatches remind me of that YSL cult-favourite in terms of texture and finish. 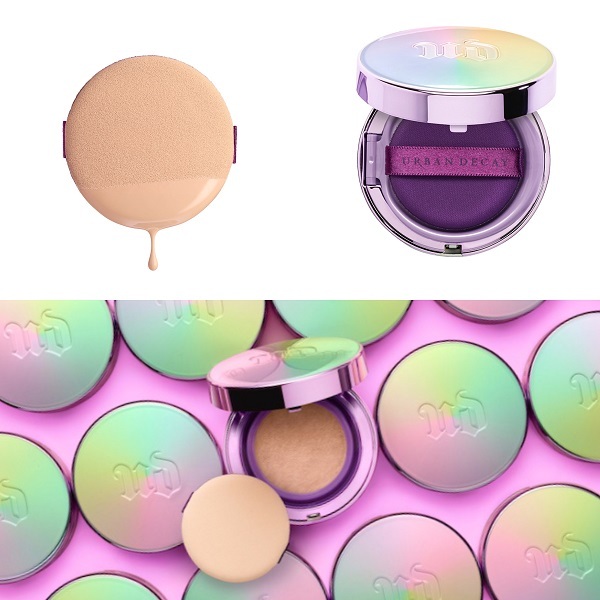 Like that luxe cushion too, the UD version promises a matte-luminous finish but a little bird told me that this is less prone to streaking than the YSL (I don’t have this issue with the latter, though). 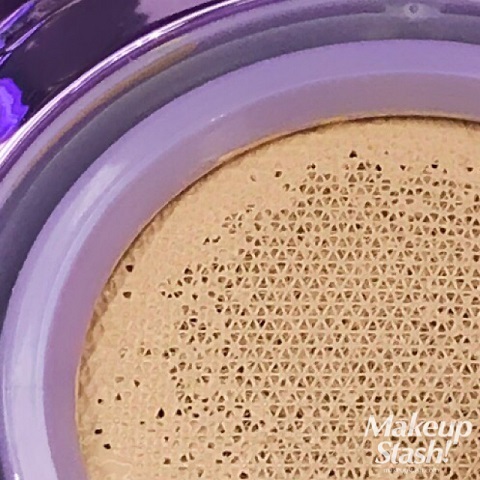 According to the brand, it offers 18-hour hydration (not sure I’d want to wear a foundation for ¾ of a day!) and long-lasting wear. Its ingredients include rose centifolia flower extract which tones and firms the skin, peppermint extract which conditions the skin, as well as gentian root extract – an antioxidant that soothes the skin. As with almost every cushion compact I’ve tried, I’m not too keen on the included applicator (sponge/puff/pillow/whatevertheycallit). I tend to use a brush; and sometimes a wedge sponge or a BeautyBlender. I’m looking forward to trying this with the new 13rushes Universal Do-It-All Face Brush, created by my dear makeup artist pal, Larry Yeo. I love the feel of the soft and supple bristles so much that I’d ordered it for a friend. Can’t wait to play some more with this lovely tool! 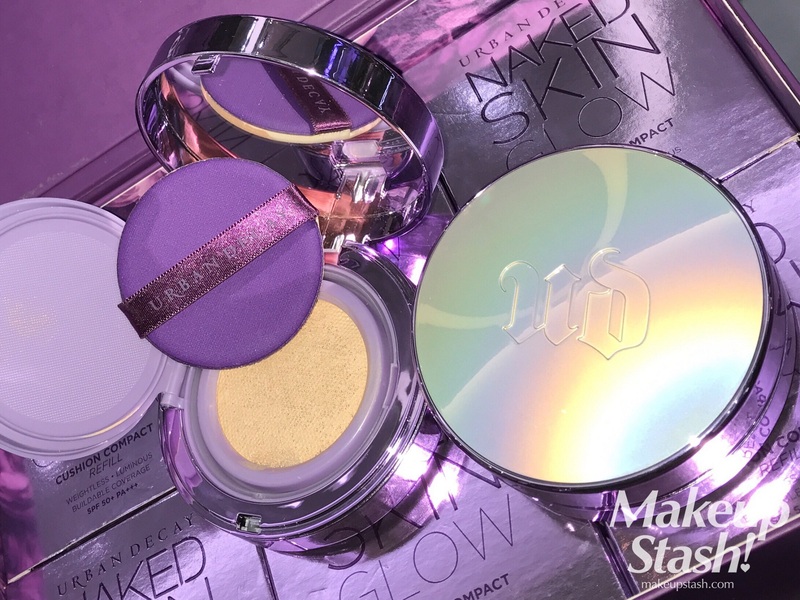 Available islandwide at Urban Decay boutiques (NAC/Takashimaya S.C./Bugis Junction/VivoCity), Sephora Singapore stores and sephora.sg from 14 September 2017, this new UD foundation retails at S$59 (the case is S$19, while the refill is S$40). This is just S$3 less than the UD liquid foundations which have steadily held a S$62 price-tag here. Considering that UD is sometimes grouped with luxury brands, it’s a fairly affordable price for a cushion foundation. 1. 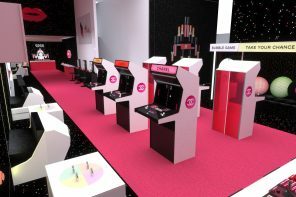 Snap a selfie at the photo-booth at the Urban Decay Singapore flagship store (Ngee Ann City #B1-32) on 15 September 2017 (Friday). 2. Share it on Instagram with your friends. 3. 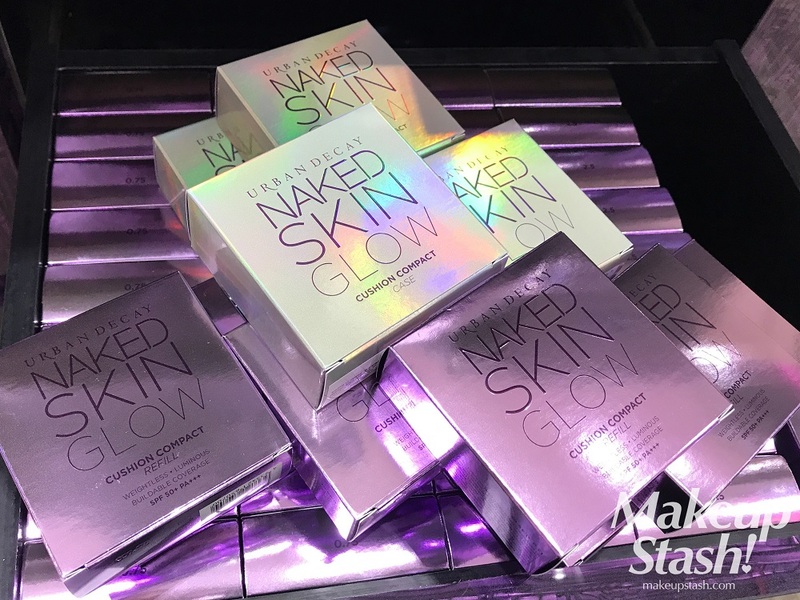 Hashtag #UDSingapore and #GetNakedAndGlow.